My most recent post included the preview/trailer video for our school production, Upsidedown Stories – A Circus Comedy Show. I can tell you that show day has come and gone and it was an amazing performance! Quite often when our students are required to speak or perform publicly there is a large ‘shame’ factor and the assembled audience doesn’t get to see them at their best. Well, in this instance the children blew that theory to smitherines! They were confident, vibrant, dramatic, skilled and humorous – Such a testament to their hard work as well as the quality of support they received from the many great people around them. 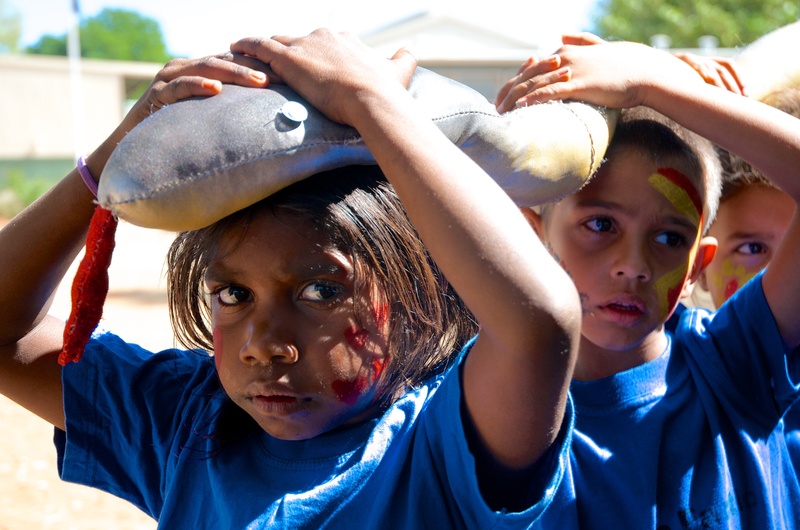 A huge thank you must go to the Act-Belong-Commit Theatre Kimberley Dragonfly Outreach Program for being our Artists-in-Residence this year. Gwen, Catherine, Ruth, Frank, John and Chris well absolutely stellar! The project was fully funded by a grant courtesy of ArtsEdge, a joint project run by the WA Departments of Education, and Culture and the Arts. If you’re in a WA DoE school and would like to know more about the programme, contact Lorraine Scorer at the DoE to make an application. Finally, well done to the stars of the show, the students – you’ve all made our school community very proud! … Bayulu town, that is! For the last 4 weeks our students have been participating fervently in circus and drama lessons courtesy of our Artist-in-Residence programme. 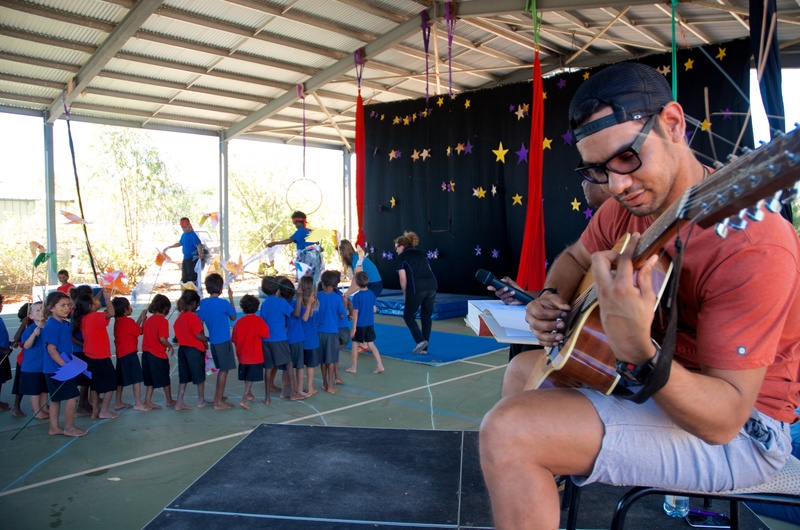 The programme provides funding for schools to link up with artists courtesy of ArtsEdge, a partnership between the WA Departments of Education and Culture and the Arts. 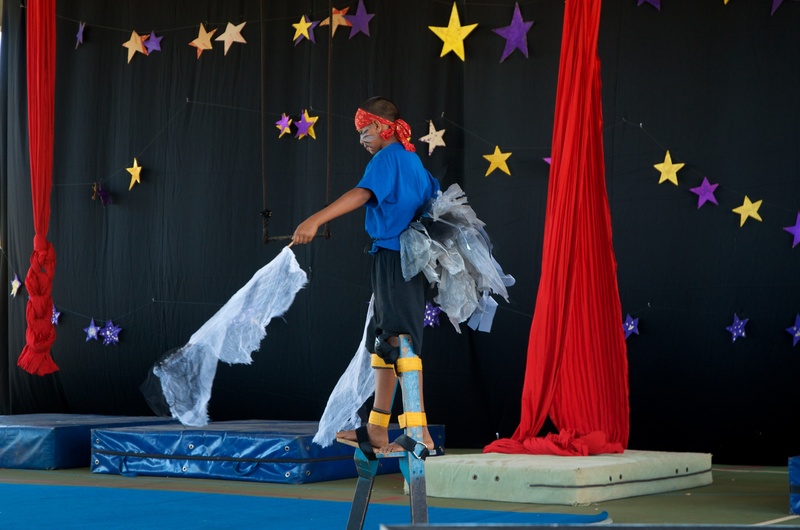 In our case we joined forces with the Act-Belong-Commit Dragonfly Outreach Program through Theatre Kimberley so we could expose our students to the artistic intricacies of circus. 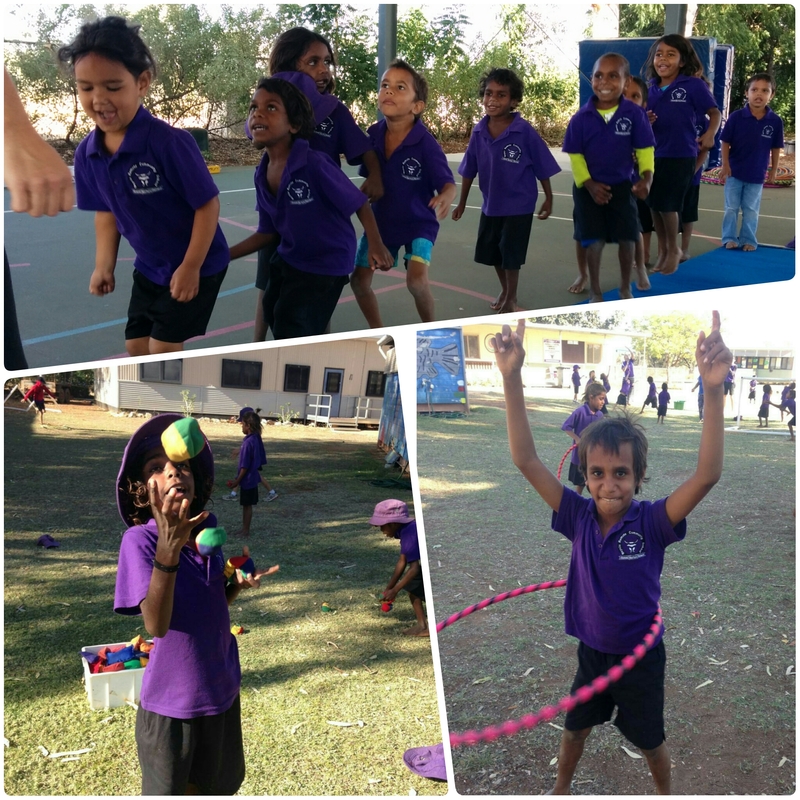 Subsequently, we’ve had performers from Sydney, Perth and Broome all visit Bayulu to get our kids actively involved with things like trapeeze, silks, mini tramp, juggling, unicycle, human pyramids and the like. The programme culminates on Wednesday with the presentation of Upsidedown Stories: A circus comedy show! The show will tell traditional Walmajarri and Gooniyandi stories (as told to us by community elders) through circus and clowning. 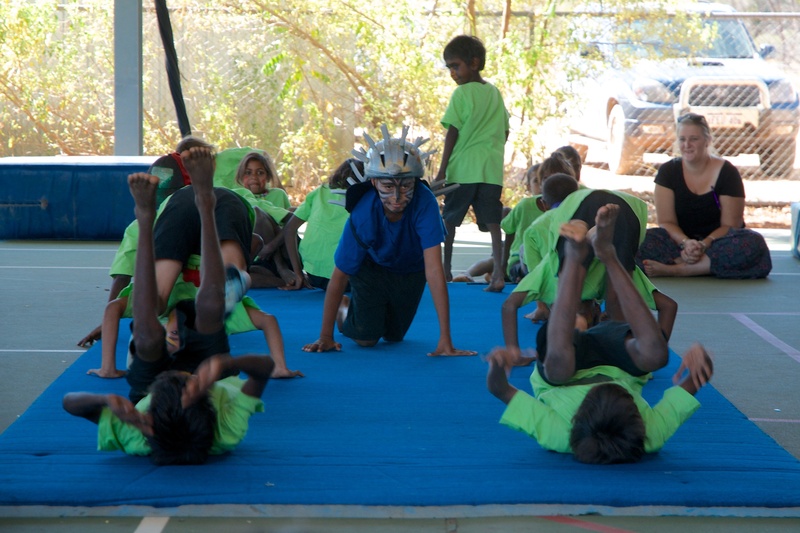 As you can see from the trailer below, our kids have loved getting ready to perform for our school commmunity! If you’re keen to see how it all pans out, we’ll be sure to put up some media via our school Facebook page, so please give us a Like if you’re interested. Thought I’d share this new offering from the awesome Indigenous Hip Hop Projects. Muludja Remote Community School is just down the road from my school (well, 30-odd kilometres), and like ours the majority of their school community consists of Gooniyandi people. 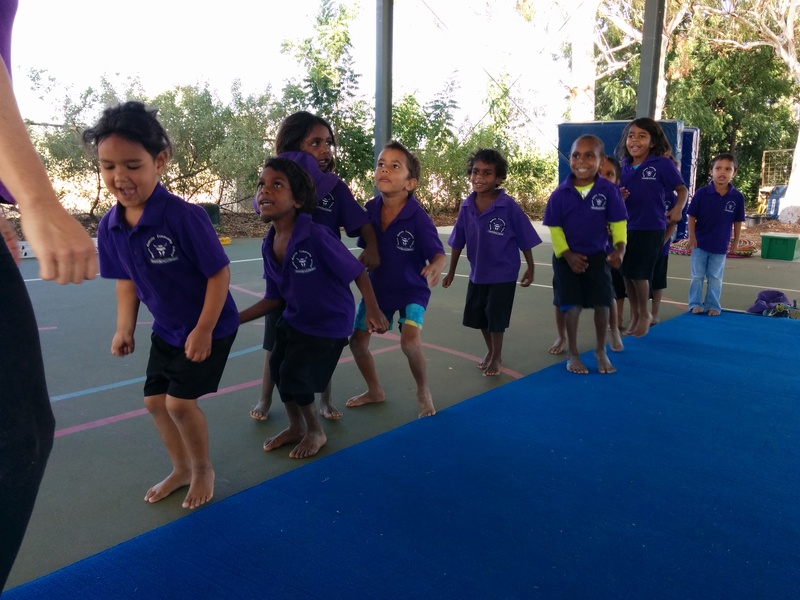 There’s some excellent teachers doing very good things at Muludja, and this video gives you a little insight into a typical day on the edge of the Margaret River in the Kimberley. 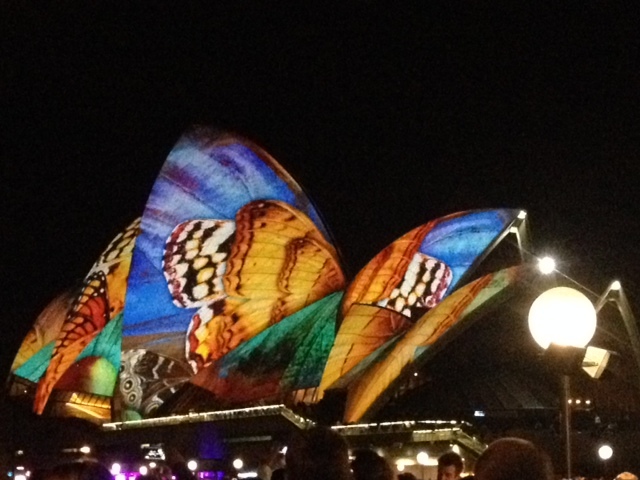 If all goes to plan, the IHHP crew will be at Bayulu in 2016 to do something similarly spectacular! 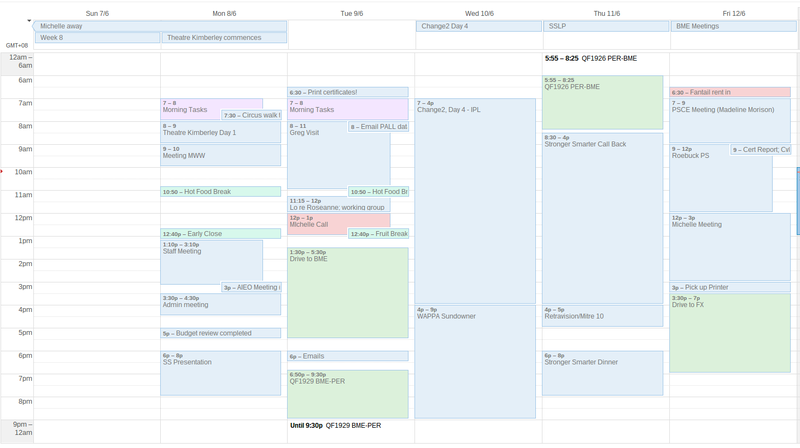 So I thought I’d share my week with anyone who cares to read this. The purpose? More cleansing and cathartic than anything else, though I guess it also serves to highlight the busy life of school leaders everywhere. I’ve always believed I’ve had the capacity to do a lot of things at once, but this past week certainly tested that resolve. As you can see, I’m attempting to juggle a heap of balls at the moment which, I think, are all still in the air. Barely. Obviously the remote location of my school makes a week like this a bit more challenging than it might be for someone based in a main centre, but I’m certainly not whinging about that at all – it just makes for a richer experience that I’ve now come out on the other side. 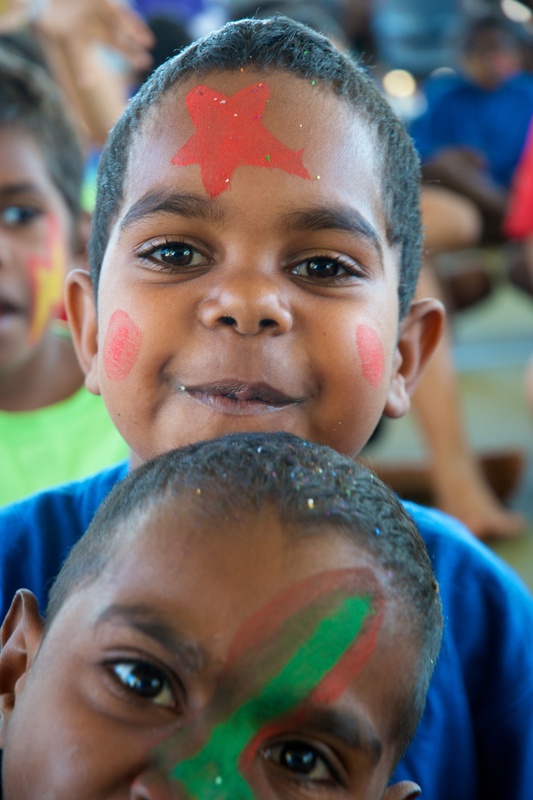 Before going any further, I need to point out one important fact: The school staff at Bayulu School are absolutely amazing! My confidence in their capacity is the sole reason being involved in multiple projects whilst leading a school is possible. I wouldn’t swap them for anyone else! Monday was the start of our Artist in Residence programme with Theatre Kimberley. This will run for four weeks, with each class, dedicating between 30 and 60 minutes to this per day. 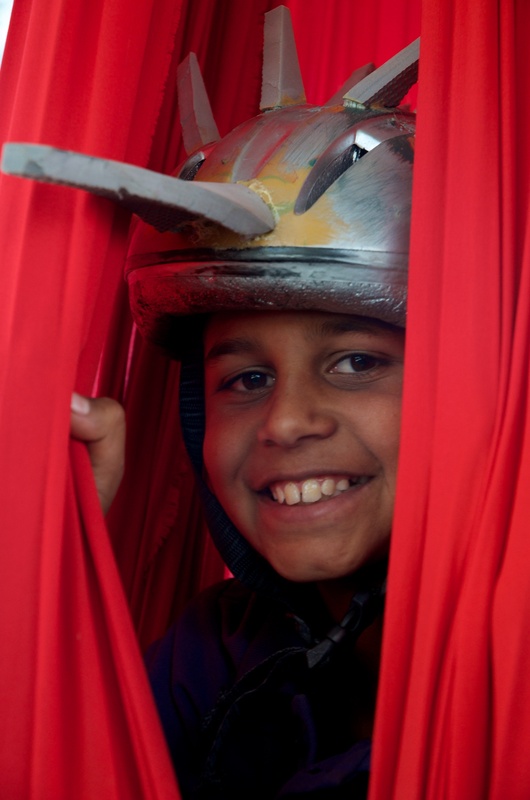 During the programme to children learn circus skills, core strength and self esteem in a safe and secure environment. 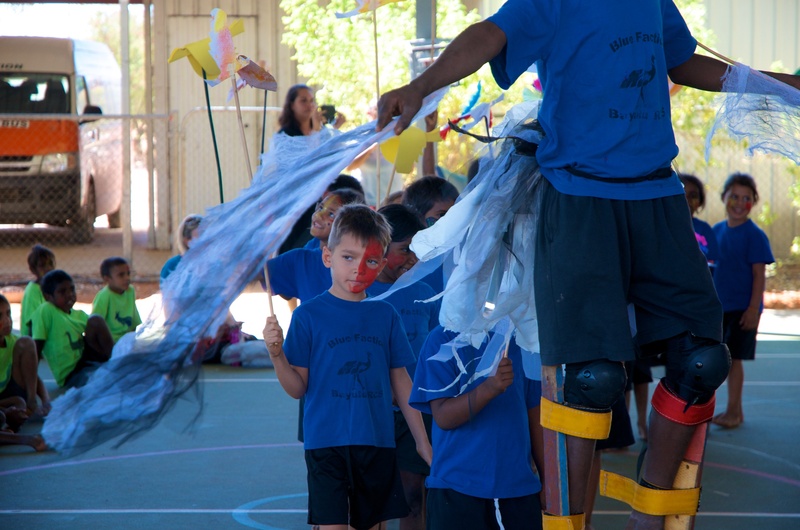 The culmination occurs in Week 11 when the students perform on the big stage, incorporating the elements of circus into traditional Gooniyandi and Walmajarri stories. 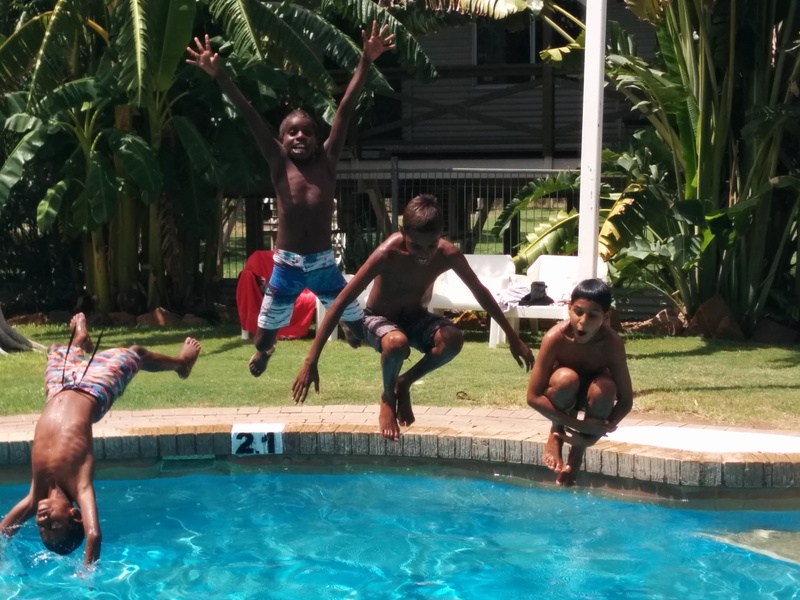 As you can see below, the kids love it, and the lead artist, Catherine Daniel, is sensational at what she does! On Tuesday I hosted our Regional Executive Director (and my boss) Mr Greg Robson. 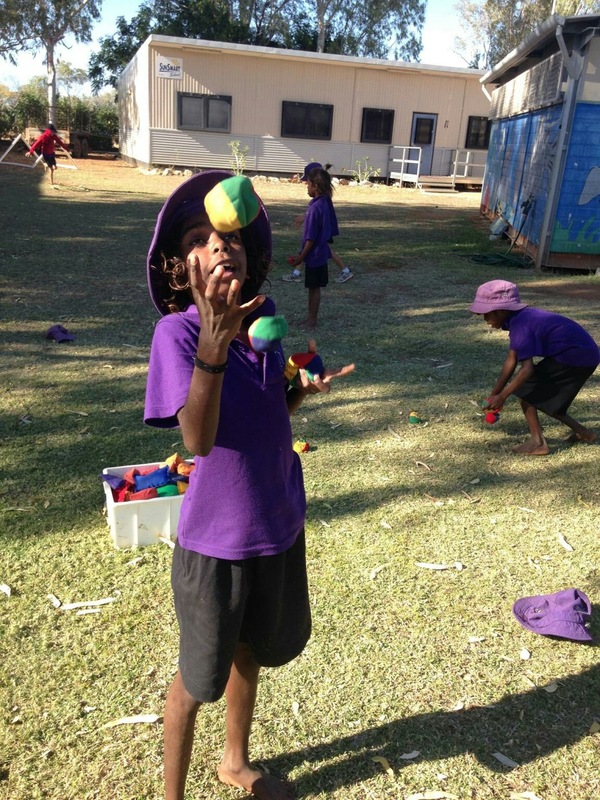 Greg’s based in Broome, but gets out to the Fitzroy Valley to check in with all the Department of Ed school at least once a semester. Typically, we’ll spend the first hour or so having a yarn about how the school’s tracking, and how I’m going in my role. Then we’ll do classroom visits throughout the school, doing informal observations as well as talking to students, teachers and support staff members. I must point out that in every class we went into we saw effective instructional strategies being employed and happy, engaged students – the teachers and our AIEOs could not have been any better! After a decent sleep (props to the Mantra on Murray for the comfy bed) it was time for a run around the block. I quite enjoy the ‘me time’ aspect of a morning trot and although I’m no Moneghetti my running shoes always make the cut when I’m travelling. There’s a bit more to look at when running through the city and along the Swan River when compared to Great Northern Highway through Fitzroy, too! Wednesday’s engagement was at the Department’s Institute for Professional Learning. Earlier in the year I was asked if I’d like to participate in a working group looking into the future of school leadership in WA; and I didn’t need much time to say yes! Given that 49% of the Department’s current 800-odd principals will hit retirement age between now and 2020 it’s crucial that there’s a plan in place to ensure there is a quality school leader in every Department school. 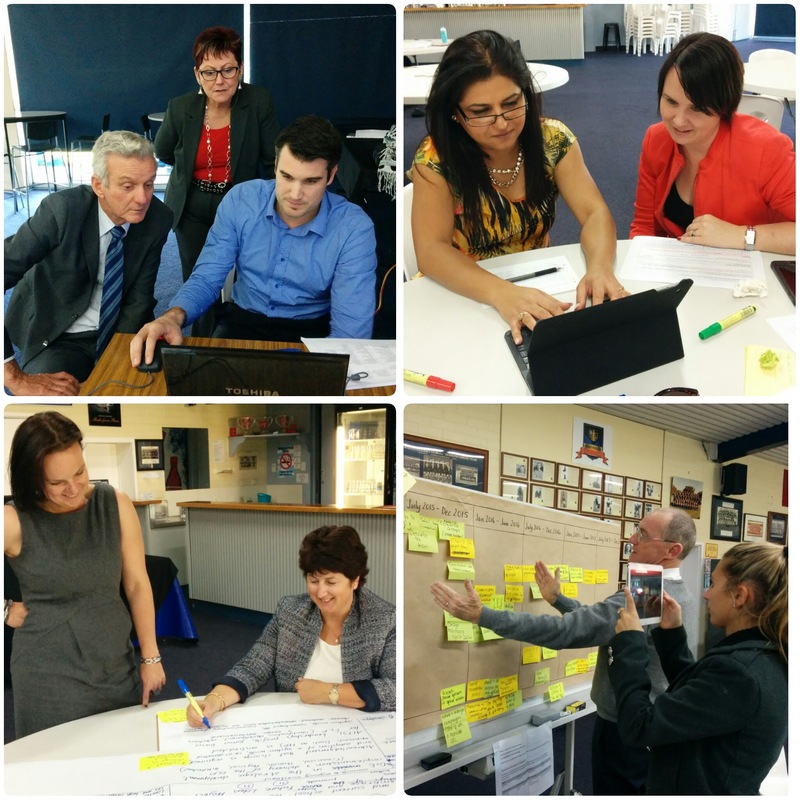 The working party’s job was to examine the identification and selection of school leaders, and the professional learning opportunities available to them. We did this via the process known as Change2, expertly facilitated by the fantastic duo of Melinda Webb and Renae Hill (@renaehill). With the 9 members of the party coming from varied backgrounds (rural vs metro; primary vs secondary; early career vs later career) it ensured that a wide range of perspectives were offered during the process, which involved four face-to-face meetings and lots of online collaboration spread over 2 months. It was an absolute privilege to be involved with this and I count myself extremely fortunate to have been included. Now we’re all waiting to see what happens when our fearless leaders, Greg Smith and Jenny Hirsch, take our ideas and present to the Department’s steering committee. Big shout-outs to all those involved: the aforementioned crew plus Blake Ingersole (@blakei24), Bhav Singh (@BhavneetSingh12), Mia Lennox (@mimilen1), Peter Holcz, Nicole Hanna and Luke Chapman. After we wound up at the IPL a few of us headed straight across to Crown to catch the tail end of Day 1 of the annual WAPPA conference. Although I couldn’t attend the conference proper due to everything else going on this week, it was great to be able to get to catch up and meet plenty of outstanding school leaders, such as @eduexchange, @burgo_123, @wappa53, @MattOsborne1 and @Algus3 who are doing fantastic jobs at various levels throughout our system. The lowlight of my week was the alarm blaring at 4:15am on Thursday morning to ensure I made it to the airport for a 5am check-in to get to Broome by 8:30am. After a post-breakfast nap on the plane I was feeling significantly better and ready for the highlight of my week: to reconnect with a very special group of people! 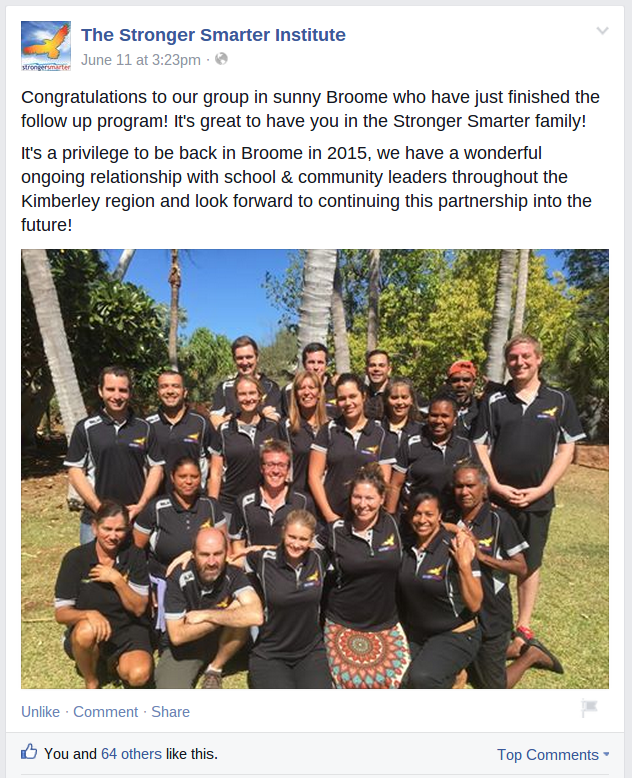 As soon as I entered the room I felt at home with my brothers and sisters from the 2015 Kimberley Stronger Smarter Leadership Program. 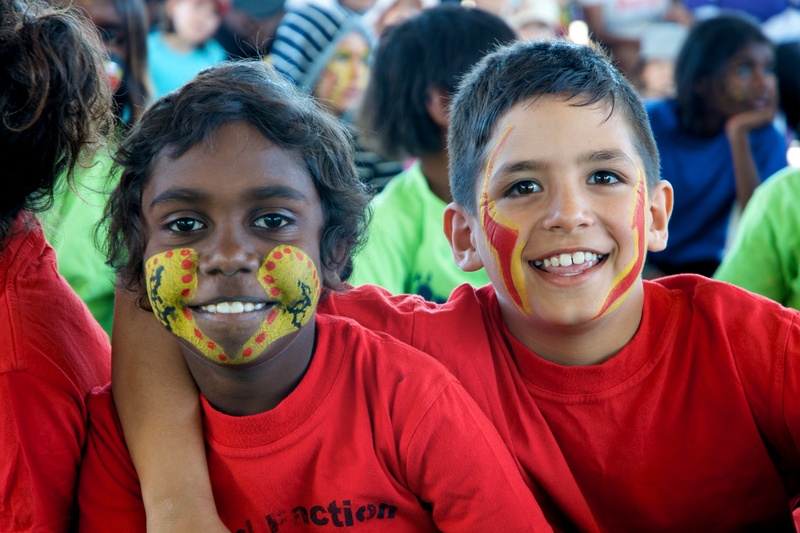 Earlier in the term we spent a week philosophising How We Are Together and how we can build High-Expectation Relationships with our indigenous students and staff. This day was for us all to check in and see how we were going with our respective workplace leadership challenges and our personal learning journeys. Thanks to our 3 facilitators for the program: Toby (@tobyadams80), Ben (@BCW2047) and Mish – you guys are absolute legends! And if you’re reading this and you ever get the chance to go to SS, do it – it’s bloody amazing! Friday was then meeting day: I started with breakfast at 7am with Madeline Morison from the Positive Schools and Classroom Engagement team at Statewide Services. We’re hoping to get Madeline up to do some whole-school professional learning around increasing student engagement using more refined instructional strategies. Then it was straight to Roebuck Primary School to catch up with principal Kelvin Shem to share my thoughts on ICT planning. It’s certainly a two-way street with Kelvin as even though computers and tech was foremost on the agenda I always leave knowing a lot more about the school leadership game than I did prior, as we talk through everything from policy to staffing processes to whole school strategic planning. One thing I said must’ve stuck, though, as my ramblings about the benefits of Twitter had instant results (see @shem_kelvin)! Finally it was off to the Kimberley Regional Education Office to talk finance with our school registrar, Michelle. 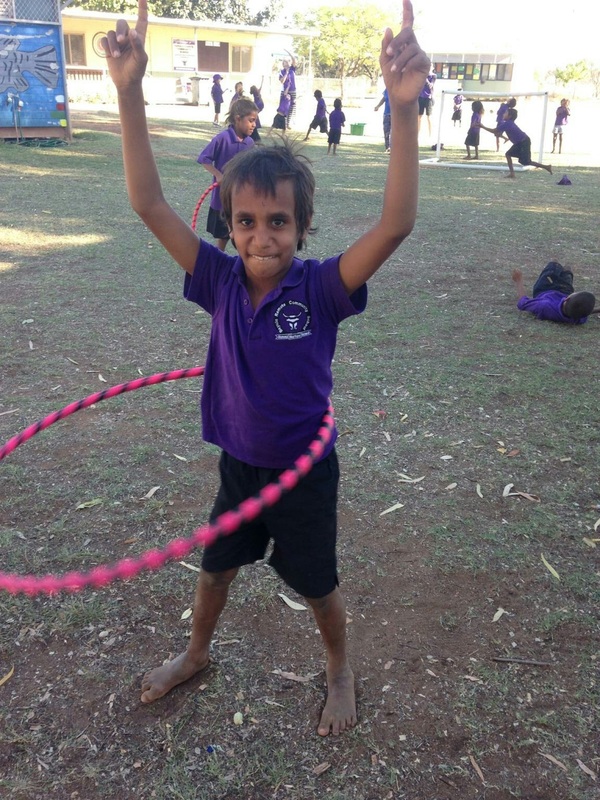 As a remote school we don’t have the same luxury that 98% of WA schools have – a registrar who works at the same site as the principal! Subsequently, Michelle and I talk on the phone just about every day to ensure the school’s finances are under control. Given I was in Broome, it was a great opportunity to sit at the same computer and look at the same docs at the same time like most school admin teams can. By then it was 2:30pm so it was off to Office National to pick up the school’s new printer/scanner/photocopier and then it was back on the 400km road back to Fitzroy, just in time to tuck the kids into bed. For any parent who travels for work, you’ll know how special this is even after just a few days away. Although incredibly hectic I enjoyed the week immensely, however, now I’m back I’m looking forward to spending 100% of my time in my school for the rest of this term and most of next one. Now it’s back to proofreading student reports and sorting out our salaries and cash budgets for Term 3, but I’m happy to spare you the details about all that! During Term 2 I was fortunate enough to be invited to participate in the TeachMeet National Strategy Forum, held at the Hilton Hotel in Sydney. A crew of 20 educators, from all over Australia representing a range of school contexts, came together to discuss what TeachMeets are and where they should be going. The take-away messages? It’s OK to be a starfish (rather than a spider)!